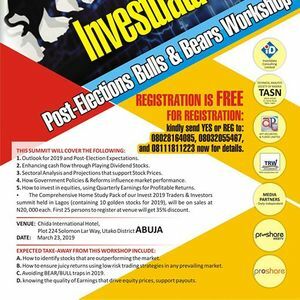 I’ve decided to hold a powerful seminar called Invest 2019 Post-Election Bulls and Bears Workshop. 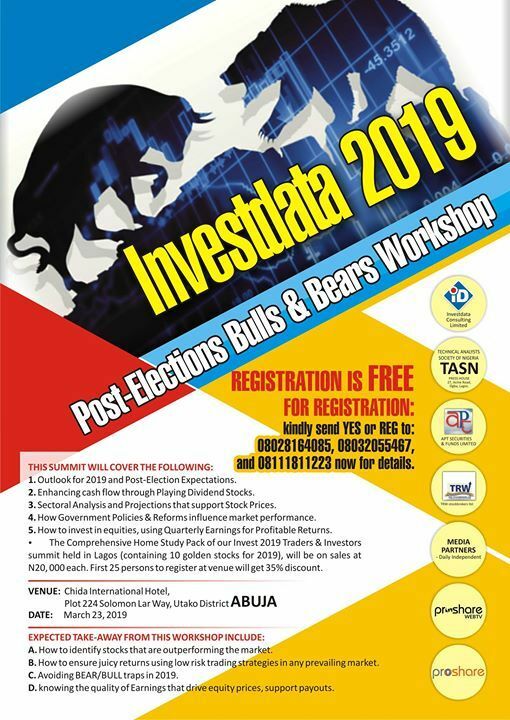 The Comprehensive Home Study Pack of our Invest 2019 Traders & Investors summit held in Lagos (containing 10 golden stocks for 2019), will be on sales at N20,000 each. However, First 25 persons to register at the venue will get 35% discount.